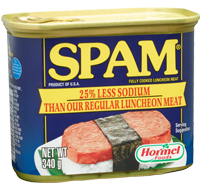 After more than 75 years in the marketplace, the SPAM® family of products is still the tasty, high-quality kitchen staple the world has come to know and love. 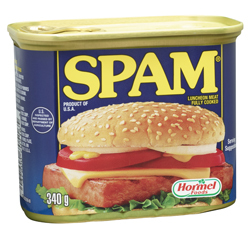 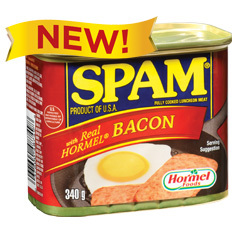 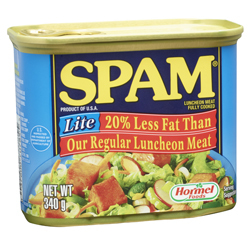 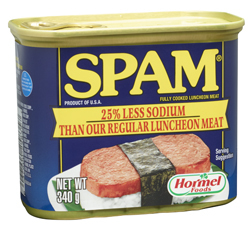 SPAM® products are fully-cooked, made of 100 percent pure pork and ham and conveniently packaged for a distinct savory and salty-sweet taste that has been enjoyed by millions for generations. 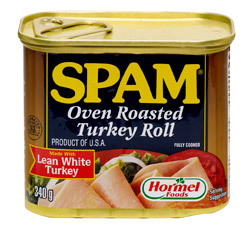 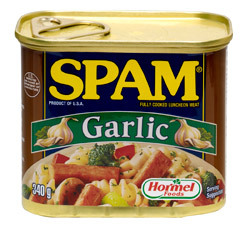 The GLORIOUS SPAM® family of products are great for yesterday, today and tomorrow. 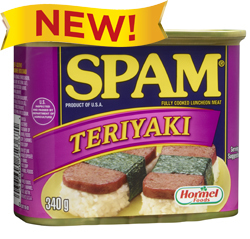 Give them a try and find out why.